Wondering what the perfect breakfast looks like? Look no further. 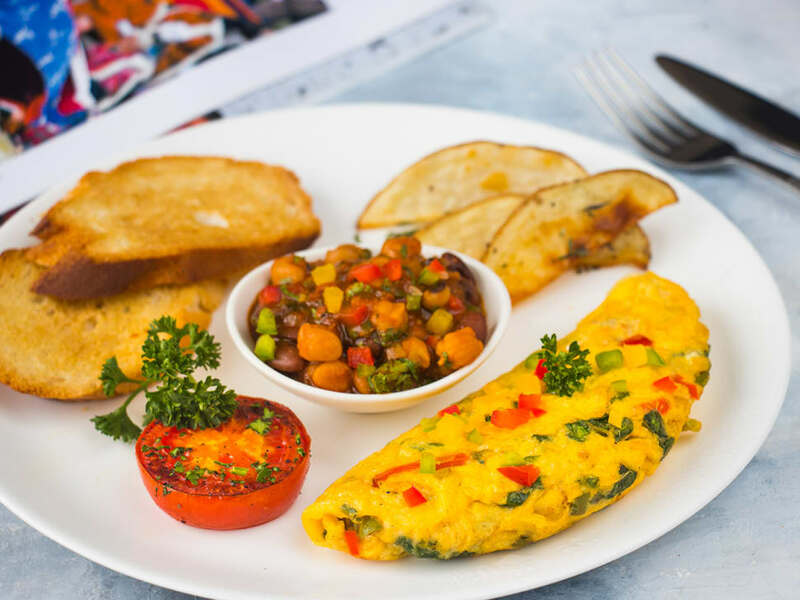 Up for grabs is our delicious spinach omelette packed with red, green and yellow bell peppers. This protein-packed main is served with healthy sides a 3-bean stew, some herb-roasted potato wedges, a grilled whole tomato and some toast. - Wedges roasted, not fried - Protein-packed omelette - Bell peppers rich in immunity-boosting antioxidants - Heart-healthy beans Allergen Information: Contains gluten, soybean and eggs.